Ecommerce is evolving at a dramatic pace. In 2017 global sales reached $2.3 trillion and are expected to hit $4.5 trillion in 2021 (Source: Statista). As much as 35% of shoppers say mobile will become their main purchasing tool (Source: PwC), and 57% made an online purchase in the past 6 months from an overseas retailer (Source: Nielsen). It’s clear; shoppers are increasingly looking beyond physical retail spaces - even country borders - towards online commerce. So how can you keep up with the latest shopping trends and stay ahead of the competition? 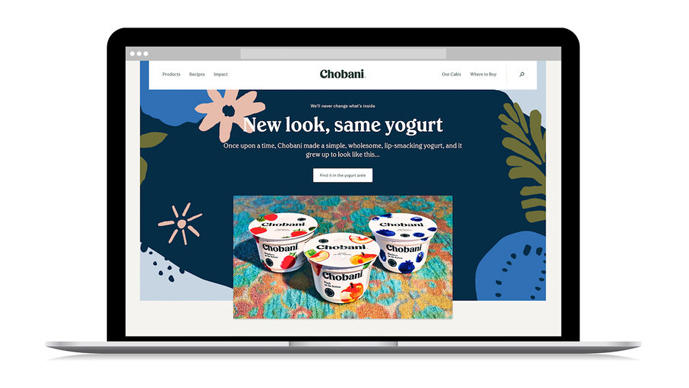 This list of 93 ecommerce features and this article are helpful resources. From tips like including reassuring and persuasive microcopy to the more complex such as AR (Augmented reality) and VR (Virtual reality), you can learn how to refine and influence your users purchasing experience. 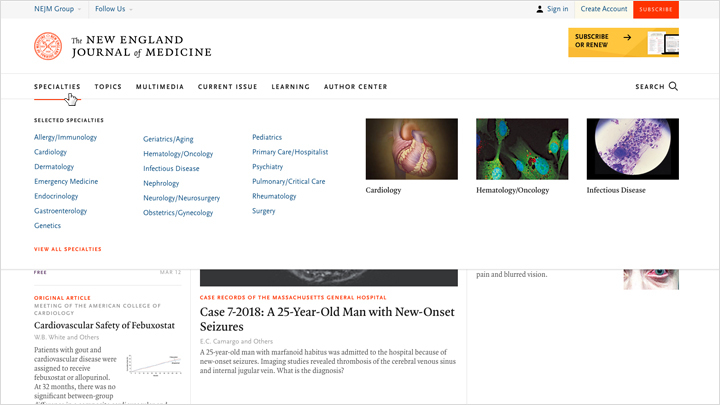 Amongst the most prestigious peer-reviewed medical journals, the New England Journal of Medicine publishes new medical research, articles and opinions weekly. 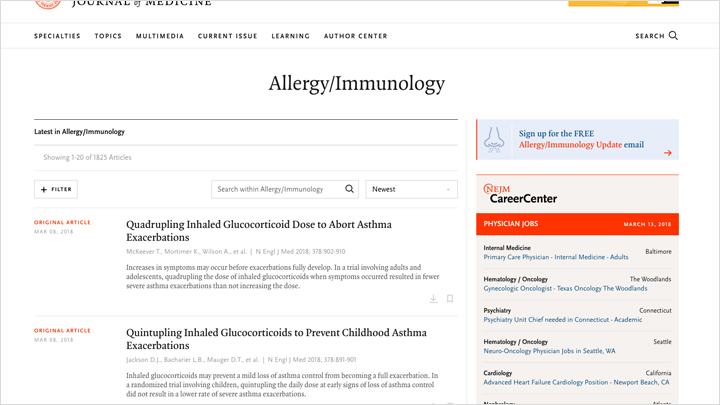 As you can imagine, the website is content-heavy but, cleverly designed by Area 17, the site is light, crisp and not overwhelming. Text is accessible and easy to read, there’s a generous use of whitespace and subtle use of colour to keep users focused, and it’s flexible layout creates elegant proportions to avoid the website ever feeling too cluttered. 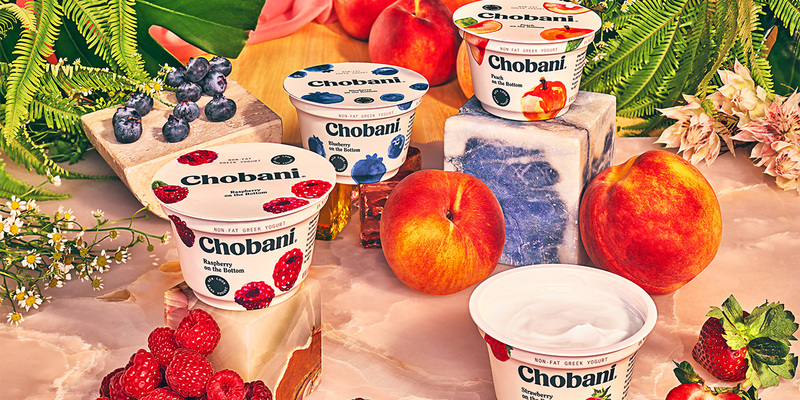 A radical departure from its previous heavily geometric wordmark, Chobani’s new branding, designed in-house and led by Leland Maschmeyer, feels smooth, nostalgic and unique. Inspired by 19th Century folk art, the hand-drawn illustrations and earthy colour palette effectively separates the brand from its competition. Read more here.